We manufacture, supply and export the finest quality of Power Press. 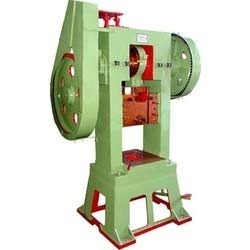 Owing to their rich features such as high performance, low maintenance, user-friendly operation and longer functional life, these presses are highly demanded in the most. In addition to this, the offered power presses are available with us in user-defined specifications. With the aid of our cutting-edge machinery installed at our infrastructure, we have been able to offer the premium quality of C Type Power Press. Used for cutting, pressing and blending of different materials, these presses are manufacture from quality assured materials. 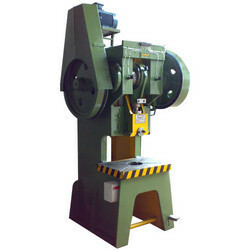 Offered by us at industry leading prices, these presses are highly appreciated among our customers. Owing to our industrial experience and knowledge of this domain, we are engaged in offering the premium quality of H Type Power Press to our valuable patrons. Minimum maintenance, high performance and energy efficient design, makes these presses highly demanded in metal cutting & pressing purposes. In addition to this, these presses are available with us in user-defined specifications.